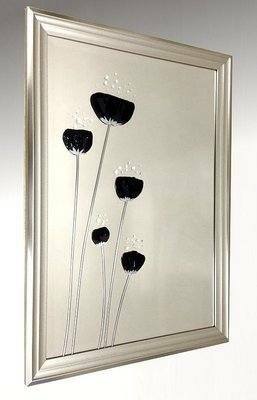 This is a beautiful and unusual mirror and also a piece of hand crafted artwork of graceful black poppies positioned slightly to the left hand side of the bevelled mirror backing, embellished with a 3D textured liquid glass effect and highlighted with real Swarovski crystals as can be seen in the detail image below. 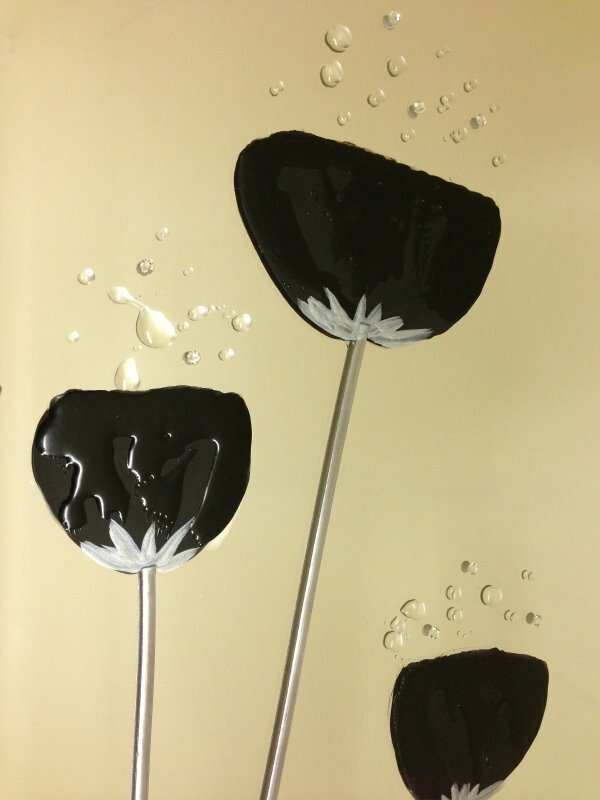 This is an exclusive design, hand created by our own artists so no two pieces will ever be identical, it is also framed in a ribbed soft silver frame with an overall size of 57X82cm. 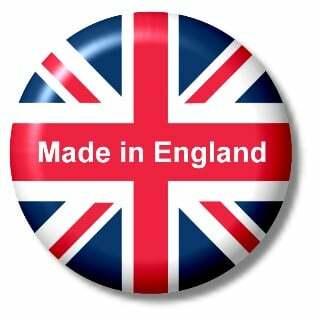 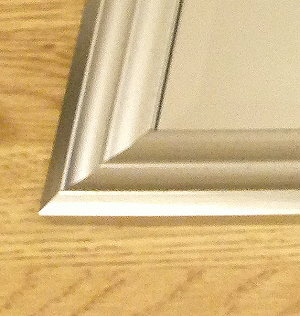 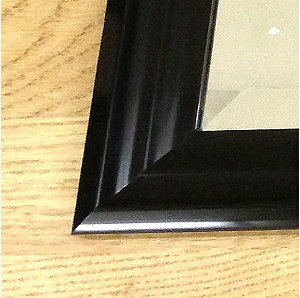 Also available with black gloss frame.